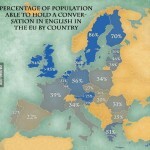 Would you would like to find out more about how the most spoken language in Europe came to be? Our brief history of the German language will help you. German is the official language of four European countries: Germany, Austria as well as being one of the three official languages of Switzerland and also Belgium. More than 100 million people speak it worldwide, and it is the most widely spoken language in Europe, if we do not take into account Russian in the whole of Eurasia. German ranks the sixth most popular language in the world, the first one being Chinese, then English, Hindi-Urdu, Spanish, and Russian. Experts believe the basis of the German language, Proto-Germanic, began to develop about 2000b.c., as people began to settle in western areas of the Baltic Sea. One of the first ever records of the German language dates back to the 1st Century b.c., when the Romans came into contact with inhabitants of the Rhine-Danube area during their occupation. The modern German we know today is likely to be unrecognisable from the language that the Romans first observed. It has gone through many changes, from Old High German (from about 700 AD to the eleventh century); Middle High German (from about 1050 to 1350); Early New High German (1350 to 1600) to New High German (from about 1600 to the present). As with many languages, German has evolved with society and sociopolitical factors have helped shape the language as it is today. New words from other languages have been adopted by German speakers. Others have been introduced into the German language due to more interaction with foreigners either due to migration, trade, war or the development of new technology from cinema to the Internet. For example, today Germans will regularly have “brainstorming sessions” – using the English term. Similarly, most speakers have adopted English words related to technology like Internet or email, as it happens in several other languages. 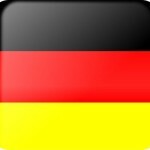 German is an interesting language due to the dominance of dialects, which emerged due to the fact there was no cultural centre, like Paris in France. By the end of the Middle Ages attempts were made to create a “Standard German language”, so that the several independent regions could communicate more easily with each other. Let us not forget that Germany did not exist as a political entity until the 19th century. A major influence on the standardization of German was Martin Luther’s Bible translation into German in 1522 from the original Hebrew. The translation from Hebrew aimed at an “East Middle German”. That “style” was largely based on the language used at the Saxon court. This became the basis of what we know as German today. 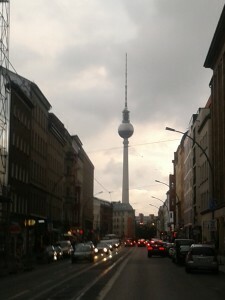 Modern day German is often referred to as “High German”, or Hochdeutsch. Hochdeutsch is used as the language of administration, higher education, literature, and the mass media. Low German, or Plattdeutsch, or Niederdeutsch, which is still spoken in many homes in the lowlands of northern Germany. Alemannic, which differs considerably in sound system and grammar from standard High German and is mainly spoken in Switzerland, western Austria, Swabia, and Liechtenstein and in the Alsace region of France. Yiddish, the language of the Ashkenazic Jews (Jews whose ancestors lived in Germany in the European Middle Ages), also developed from High German.